Congratulations to GSPN friend Brandon ‘The Truth’ Vera on his wedding to new bride Jessica Craven Vera. 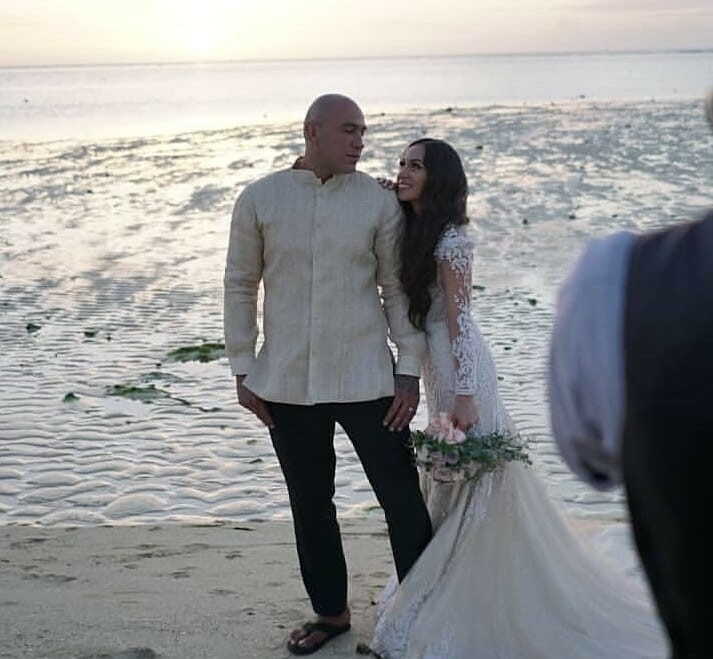 The invitation-only ceremony took place at sunset along Alupang Beach with a few hundred friends and family – a few dozen who flew in just for the wedding. The off-island guests included close friend and Bellator star Phil Davis, who conducted the ceremony, along with fellow MMA star A.J. Matthews. Vera, who is the One FC heavyweight champion, has made Guam a part-time home after moving to the Philippines a few years ago from his home base in San Diego. Some of the local MMA community were in attendance to include Frank ‘The Crank’ Camacho, Melchor Manibusan and Roman Dela Cruz.